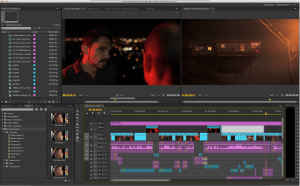 Adobe Premiere Pro is a powerful software dedicated to digital video editing. Premiere provides with a myriad of comprehensive tools and functions to create dynamic videos or films. This hands-on training course on Adobe Premiere Pro will coach you on all the techniques and features you need to edit and fine-tune your productions. The instructor adjusts his teaching to your skill level and the course content is customized to your projects and goals.